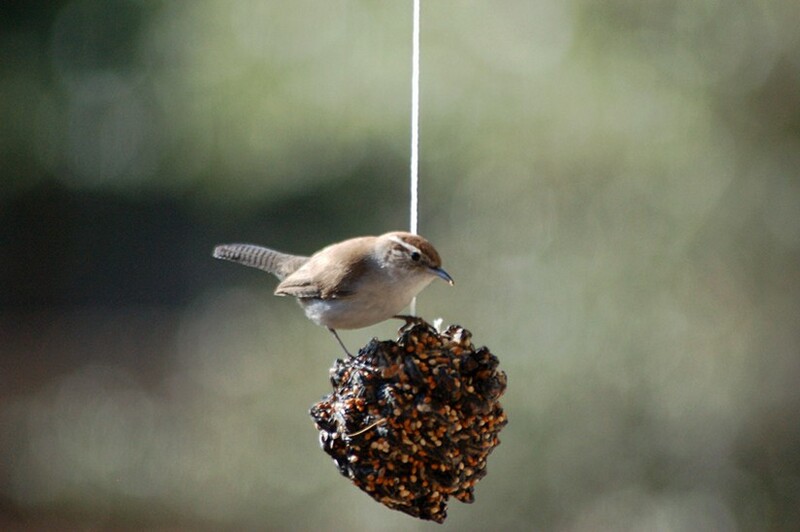 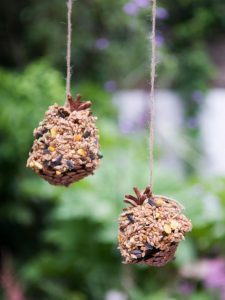 Keeping a bird feeder is a nice way to attract our feathered friends into your backyard, which is why it’s a popular habit among bird enthusiasts. 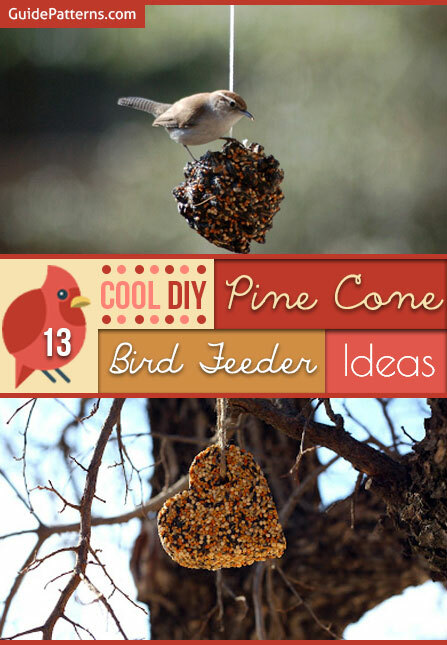 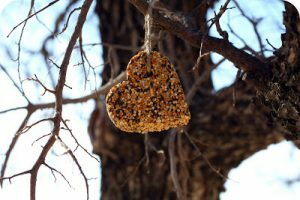 So, if you are nurturing a thought of installing one on your porch, grab some pine cones and make a wonderful bird feeder with the help of the following instructions. Hang a bird feeder, made of a pine cone and seed mix, on a string and welcome every morning with the sweet chirping of birds. 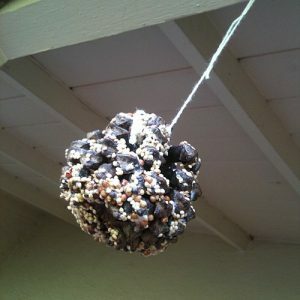 If you have cats or dogs as pets, keep the feeder out of their reach. Apply dollops of peanut butter and roll your pine cones in seed mix – your bird feeders are ready. The peanut butter works as a binding agent to keep seeds, millets, and vegetables together. Wouldn’t it be wonderful to organize some bird treats in a garland and hang it from a string? 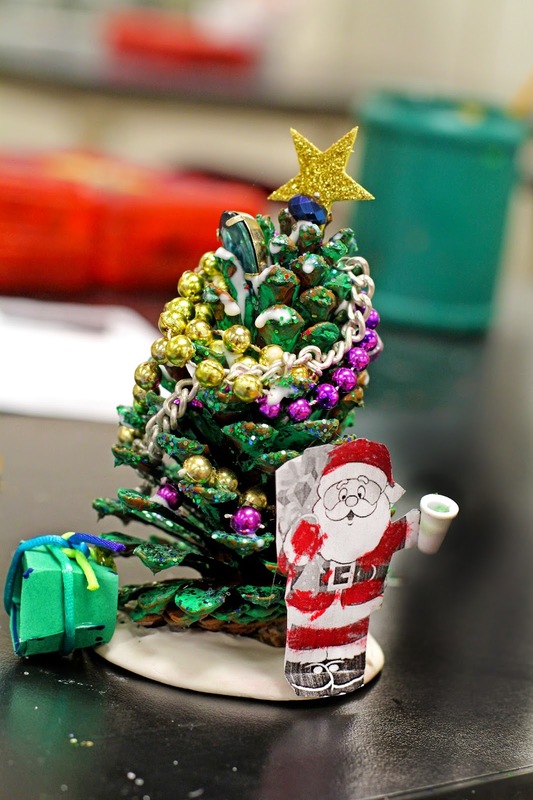 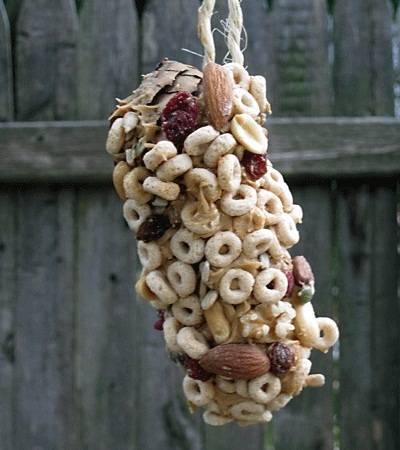 You can add dog biscuits to the garland as well. 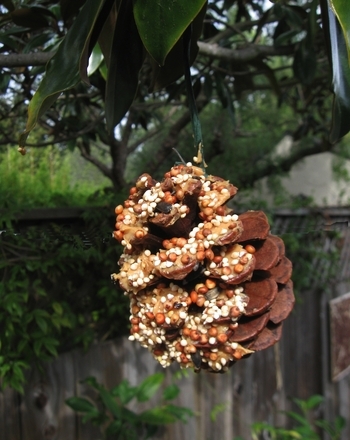 A beautiful pine cone bird feeder hanging from a branch of a tree is sure to attract birds. 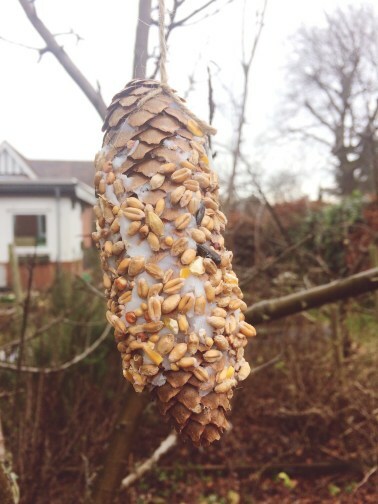 Make and place this pine cone in your garden, especially during winter, as plenty of birds migrate during this time, and you might get a glimpse of some rare species. 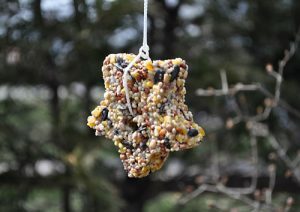 If oatmeal is not available, you may use corn meal instead. 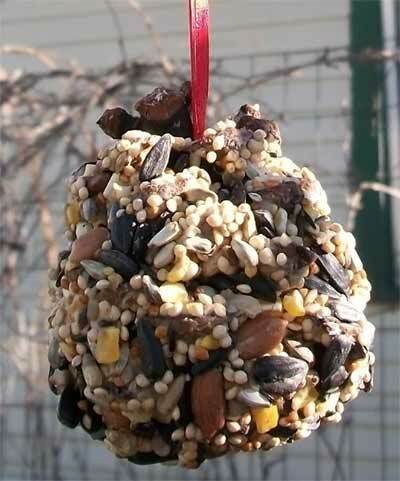 What do you do on those relaxing Sunday afternoons? 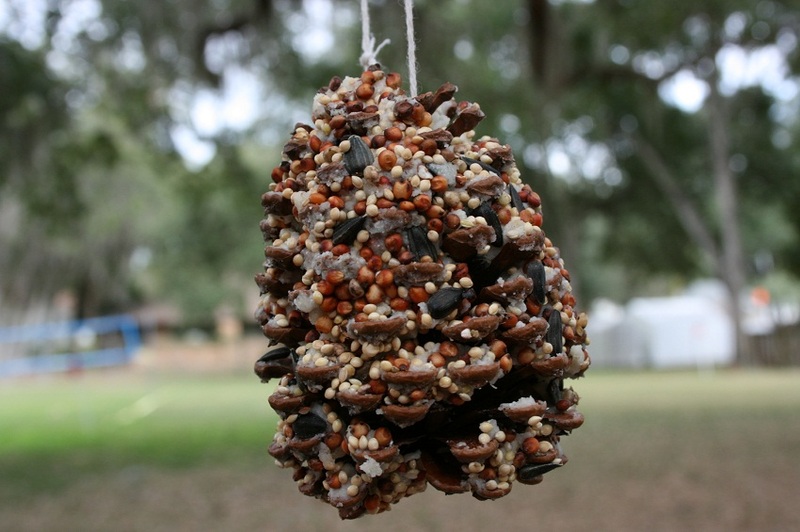 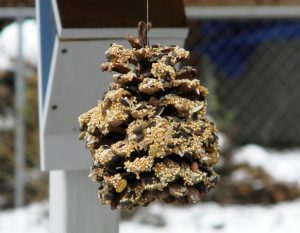 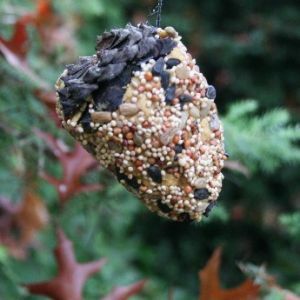 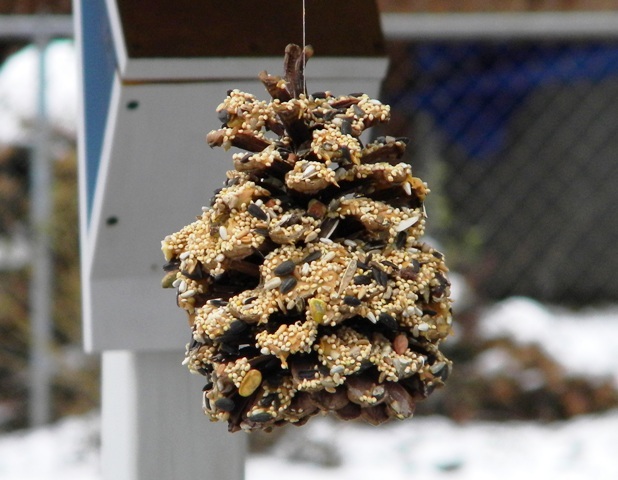 Consider making a bird feeder like the following one using a pine cone, lard and bird seeds. Some bird lovers cannot keep birds as pets, because either they are allergic to it, or live in a rather small urban apartment. No matter what is the reason, you can easily call them to your home for a treat with a simple bird feeder. 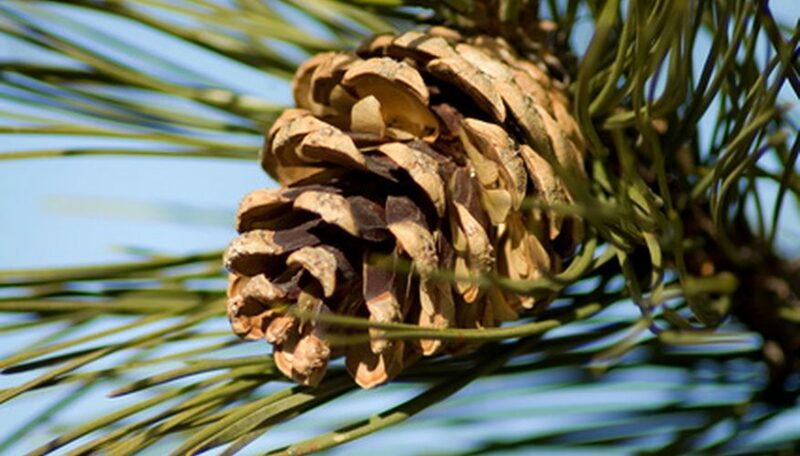 Select the tutorials you like from the list and start making them one by one.